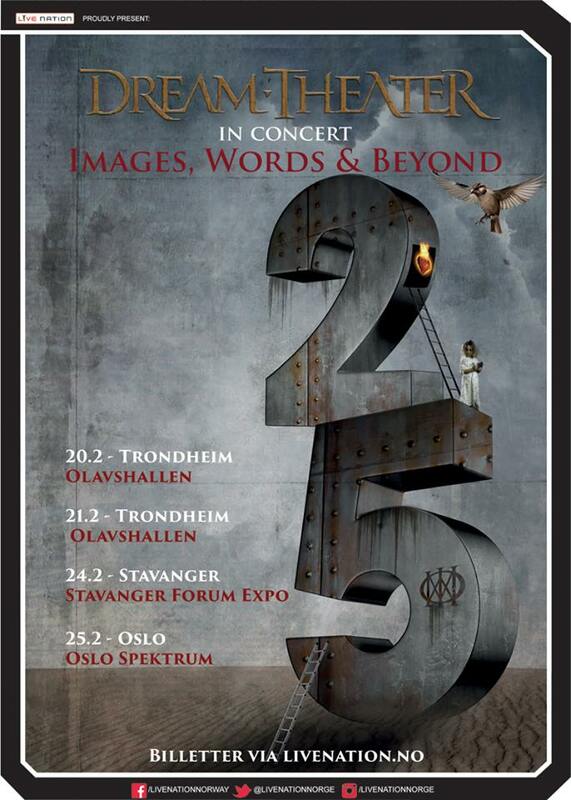 I forbindelse med 25-årsjubileumet av bandets milepælalbum «Images & Words», legger prog-rockgeniene Dream Theater ut på Europa-turné. Oslo Spektrum – 25. februar 2017. Forsalg: onsdag 23. november kl. 10:00. Ordinært billettsalg: torsdag 24. november, kl. 09:00. 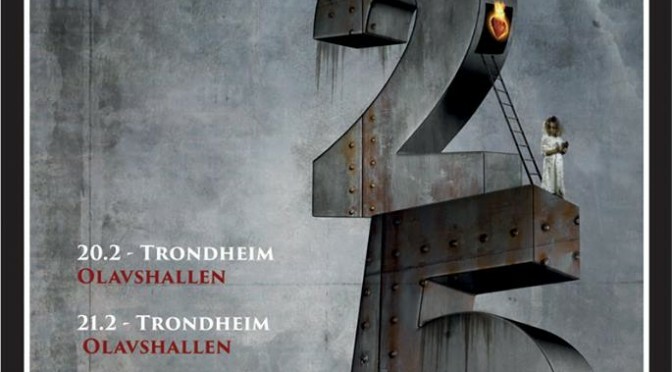 Roadrunner-signerte Dream Theater offentliggjorde nylig sin nye, monumentale Europa-turné, og det er med glede vi kan bekrefte at bandet også tar turen innom Norge. Publikum kan forvente seg et spektakulært og enestående live-sett fra det ikoniske progressive rockebandet, hvor de vil fremføre sitt muligens beste album noensinne – «Images & Words» i sin helhet, samt mange andre låtfavoritter. Dream Theater gjør seg i disse dager ferdig med sin Nord-Amerika-turné hvor de fremfører sitt nyeste og særs kritikerroste dobbeltalbum The Astonishing. Turnéen som gjestet Oslo Konserthus i februar i år, og som solgte ut hele tre forestillinger på rekordtid, består av 34 låter fordelt over to akter. The Astonishing debuterte med topplassering på Billboards «Rock»- og «Hard Rock»-liste. “Even for a group that has blazed new trails consistently, there’s never been anything to compare to The Astonishing, the full-blown rock-opera, jumbo-size concept album…Put simply, the new release lives up to its title in every way imaginable». Dream Theater består av: John Petrucci (gitar), John Myung (bass), James LaBrie (vokal), Jordan Rudess (keyboards and continuum) and Mike Mangini (drums). 23. og 24. Juli, i London. Sees vi der? Dream Theater Progressive Nation 2009 Tour UPDATED!! New York progressive metal veterans DREAM THEATER will take their PROGRESSIVE NATION tour overseas for the first time with a run through Europe and the UK throughout Sept, Oct and Nov 2009. PROGRESSIVE NATION founder and mastermind, DREAM THEATER drummer Mike Portnoy, once again hand-picked the bands based on musicianship, originality and diversity…not necessarily by popularity and marquee value. He comments: “After the excitement of putting together two very cool PROGRESSIVE NATION packages for North America, I knew it was time to bring the concept overseas and share some of these other great bands with our amazing fans throughout Europe and the UK”. Progressive Nation 2009 – North American Summer Tour! New York progressive metal veterans DREAM THEATER will take their PROGRESSIVE NATION tour back on the road for its second incarnation with a run through America and Canada in July/Aug 2009. In addition to a headlining set by DREAM THEATER, this year’s package will feature the outstanding musicianship of ZAPPA PLAYS ZAPPA as well as two incredibly talented imports from Sweden: PAIN OF SALVATION and BEARDFISH.